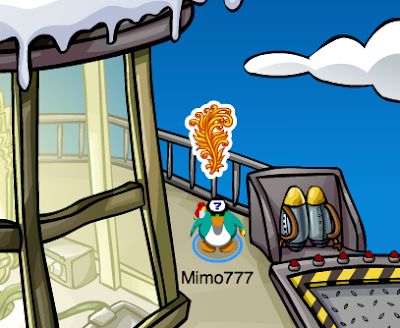 Club Penguin Cheats by Mimo777 Club Penguin Cheats by Mimo777: Club Penguin Updates The Beacon! Dood! 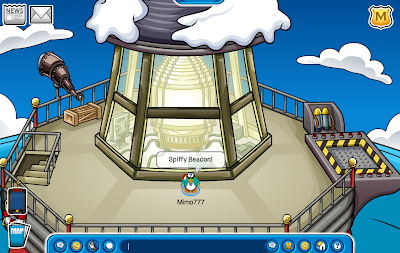 Did you notice the updates Club Penguin made to the Beacon? Only slight changes, but it has definitely been updated! The snow on top is much less jagged and the bars on the sides are straighter. 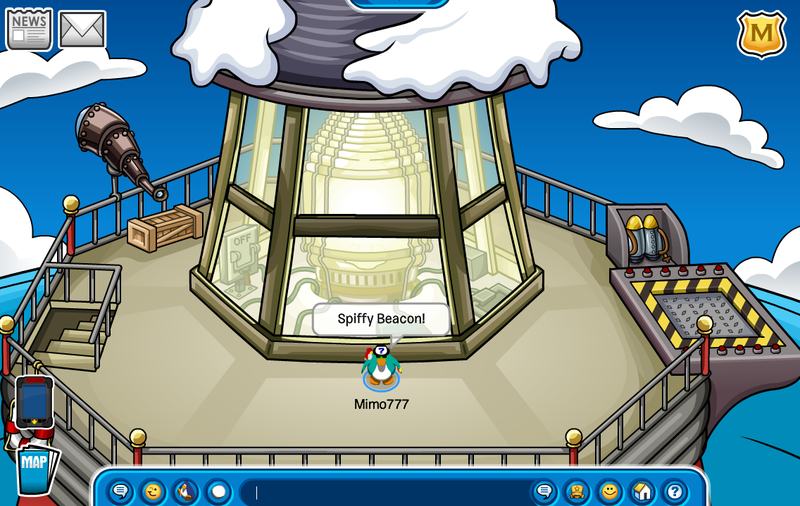 My theory is that the Beacon will be where our next "mission" with Herbert will be. I'm thinking similar to the fighting the Hydra Bot in the Everyday Phoning Facility. remember the disney competition for ireland and england for a goodiebag and memberships? well i won a goodiebag!! thx mimo for telling me about it cuz i wouldnt have entered if u hadnt posted it up!! now they need to do that to the rest of club penguin. Well... yeah. That was my theory too. Operation BLACKOUT. What's the main source of light on the island? The beacon! What does a blackout do? It takes power away! So... there we go. They made it look less hand-drawn. The rails and things are all straight now like they used a ruler. Nice theory Mimo! Yea I think that's why they updated it since of your theory Lol xD. Can't wait for the Blackout! It's probably gonna be epic lol. where can I contact mimo cause I found something that would be AWESOME! I can't log in to cp I think the blue page of death is back. Yeah! There will be an epic battle and Herbert will fly off on a jet pack??!! Plus, the BLACKOUT is 2 months late: It was meant to be in June! I cant wait to see CP in black and white for 2 weeks! The words "..Light of day!.." probarbly has something to do with the big lightbulb in the Beacon!! Herbert is going to steal the lightbulb and use it to heat up the island*!!! If you click on the on/off switch for the light (left of the light) you can turn the light off.